Disclosure: This is a sponsored post written by me on behalf of Eckrich Deli Meat. 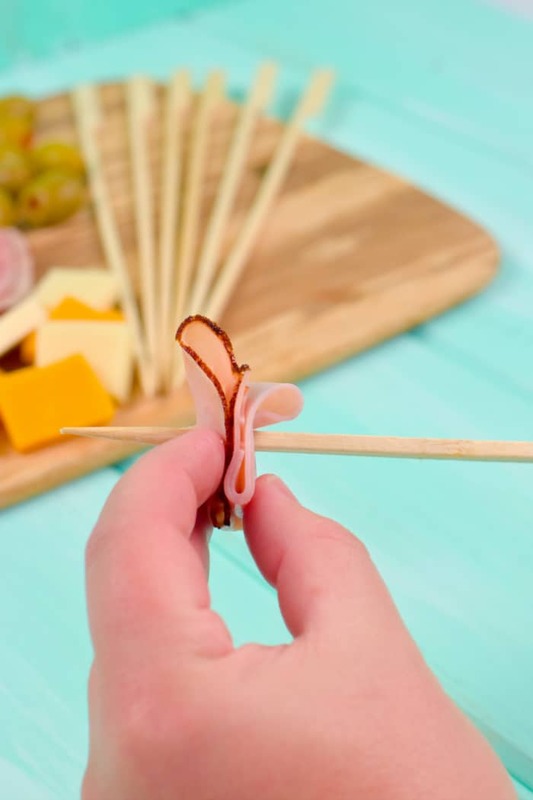 If you ask me, Ham and Cheese Skewers are the perfect Fall appetizer. With all the entertaining going on over the next few months, it’s no surprise many of us want to bring something tasty and simple to contribute to those events. That is why I love this recipe. It’s so simple to make, it’s delicious and it is packed full of goodness so I can spend less time in the kitchen, and more time with the kiddos. With Eckrich deli, you truly cannot go wrong! 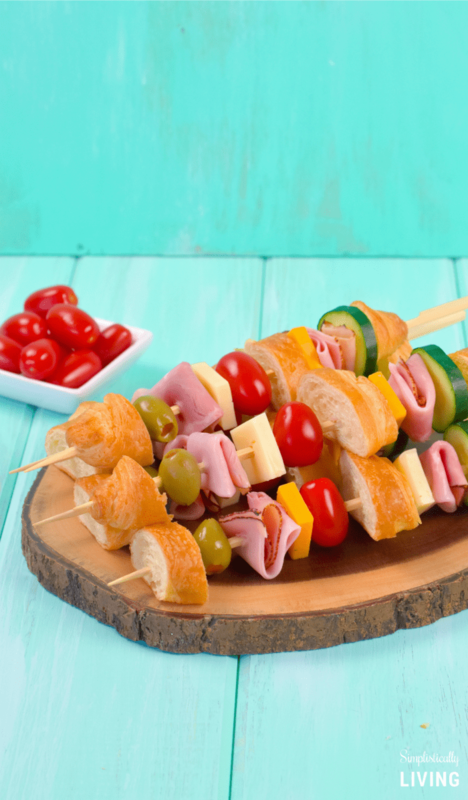 While these ham and cheese skewers are perfect for making for holiday parties, they are also great for making for school lunches or snacks in-between meals at home. To begin, you want to wash and dry your vegetables thoroughly. Next, take a piece of your Eckrich Virginia Baked Ham, which has a slight sweetness and baked to stay juicy, and cut a piece in half vertically. This will make folding them to put onto the skewer, easier. 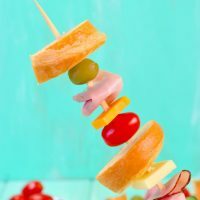 Now, you will want to slice your cucumber, cheeses and croissant bread so they fit onto the skewer. For the cucumber, we cut them into rounds. For the cheeses, we cut them into squares, and for the bread, we cut it into 1-inch slices. Now it’s time to assemble it all. 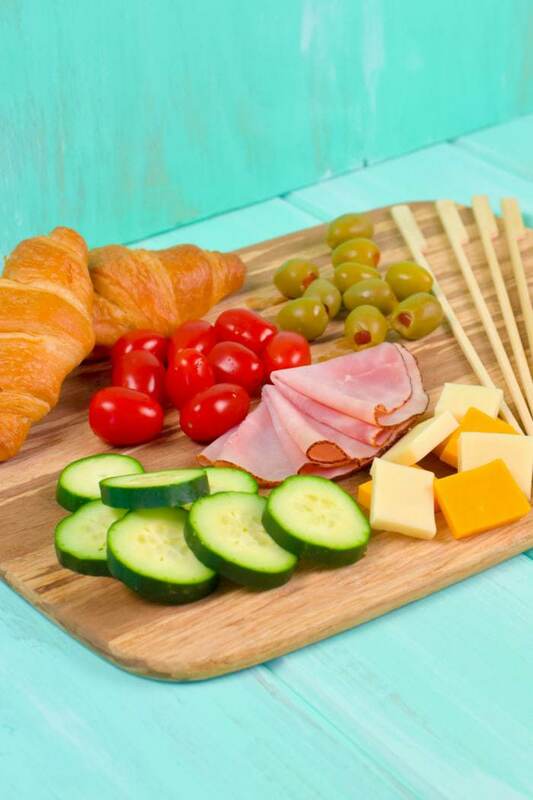 You can put the skewers together in any order you’d like but we did it like this: bread, cucumber, Eckrich Virginia Baked Ham, cheese, bread, cherry tomato, cheese again, another piece of Eckrich Virginia Baked Ham, an olive and then finish it with bread. Note: The cheese will split if you try to place it right onto the skewer. 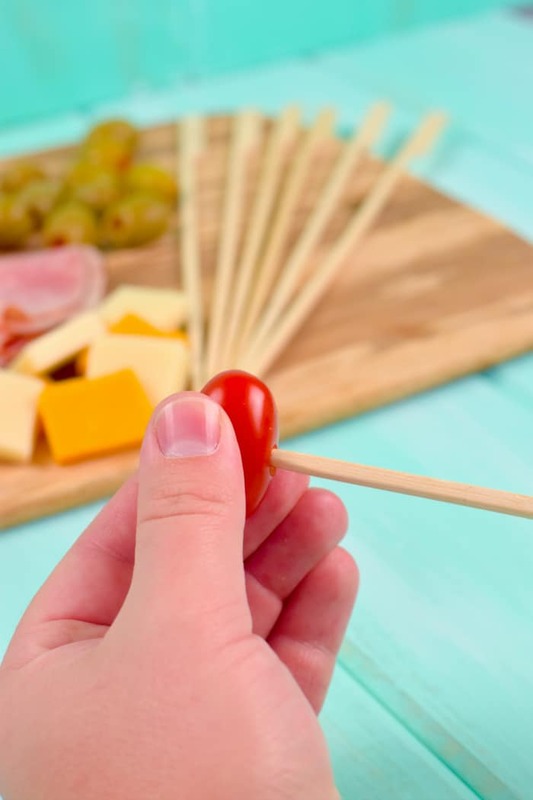 We used the end of a straw to cut a perfect circle into the middle of each cheese piece and it went right onto the skewer with no problem. We did fold the ham into half and then half again so it went onto the skewer well. 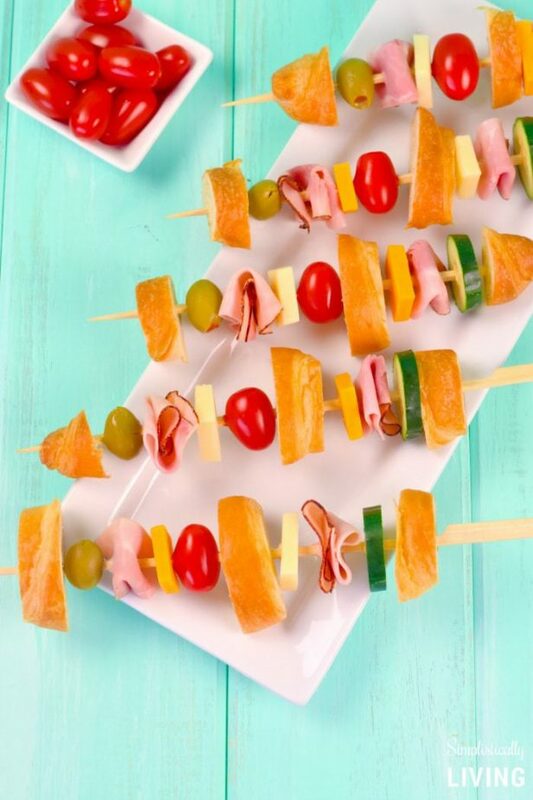 Once the skewers are assembled, plate them and serve them to guests. The Eckrich Virginia Brand Ham we used in this recipe was found at our local Walmart deli counter. 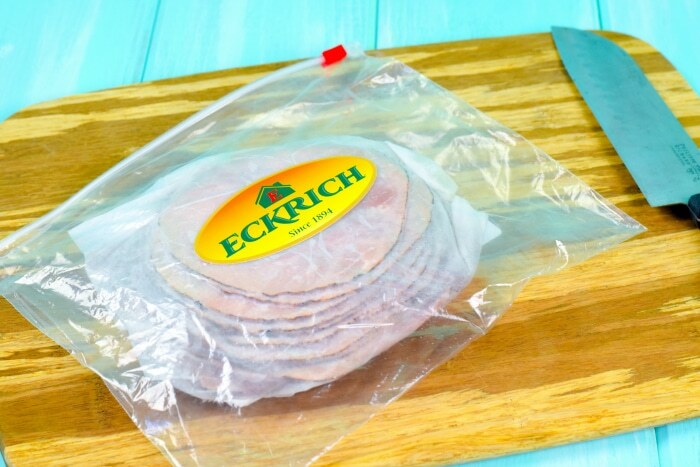 Eckrich deli meat is quick, easy, and versatile for use in many recipes that your whole family will enjoy. Plus, Eckrich deli meats are always gluten-free, incredibly flavorful, and made with unmatched quality. Make sure to stop by your local Walmart deli counter to pick up some freshly sliced Eckrich Ham today. You can also learn more about Eckrich Deli here. To begin, you want to wash and dry your vegetables throughly. Next, take a piece of your Eckrich Virginia Brand Ham and cut a piece in half vertically. This will make folding them to put onto the skewer, easier. Now, you will want to slice your cucumber, cheeses and croissant bread so they fit onto the skewer. For the cucumber we cut them into rounds, for the cheeses we cut them into squares and for the bread we cut into about 1-inch slices. It’s now time to assemble it all. 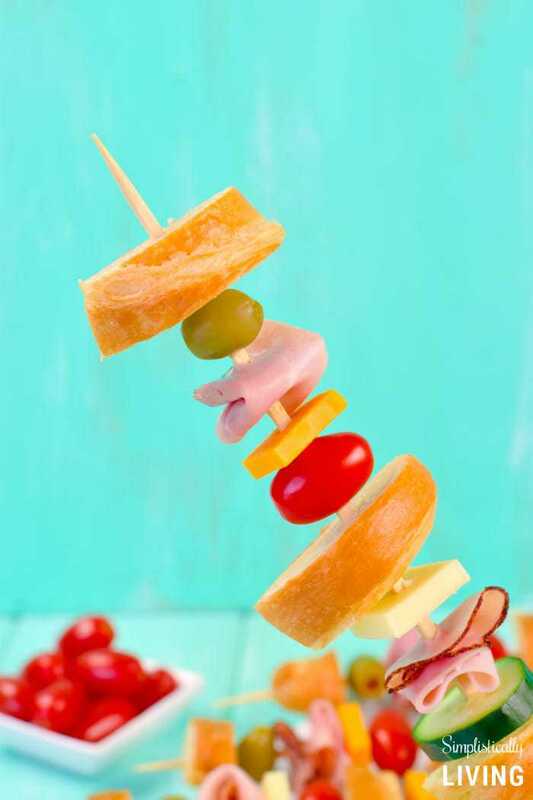 You can put the skewers together in any order you’d like but we did it like this: bread, cucumber, Eckrich Ham, cheese, bread, cherry tomato, cheese, Eckrich Ham, Olive and then bread. This is a sponsored post written by me on behalf of Eckrich Deli Meat.